How to select the right Double Stroller with Car Seats? 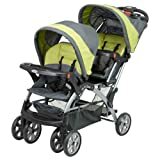 Selecting the right double stroller with car seats can be a difficult task, as you want them both to match and at least be similar enough that they can be used together. Whilst this doesn’t have to be a difficult task, with careful preparation and investigation you should be able to find the most suitable one for you. What should I look for when purchasing a double stroller? 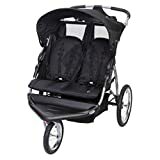 There are a number of different features that are key to investigate when considering the purchase of a double stroller, which also features car seats. Whilst it is somewhat difficult to find both available as one, if you look at the individual features you should be able to determine the best match for each other and the best match for you. Compatibility: First you want to ensure that the double stroller you have is compatible with the car seat that you also want with the stroller. It is slightly harder to find compatibility if you do not get a matching set, however not entirely impossible to deal with. With the right investigation you can increase your chances of having a more compatible set. Ensuring similar sizes is one of the first steps, as well as the features available on the stroller and the car seat so that there are no conflicts when trying. One step to try is to investigate the manufacture of the stroller or car seat and see if they manufacture the opposite piece of equipment, which you can use to pair up. Functionality: The functionality of the double stroller is also important, as you want it to be able to functions the same as a one-child stroller except for two children. Having features that only apply to one child can cause problems as well as minimize the effectiveness of features already present. Safety: Having the most safe stroller and car seat is the only aspect that should always be present. Strong and tough material that will not break but is also comfortable will help to ensure that safety is combined with comfort. Both will complement each other and minimize the possibility of faults. What are some good quality double strollers? This double stroller contains a lockable swivel front wheel which has suspension allowing it a better method of maneuverability, as well as integration with up to two infant car seats of the same brand. It also includes reclining seats and storage space to allow you to place your items away when you need to. One of the main upsides of this set is it is one of the top rated car seat by leading consumer magazines and publications. Additionally, of the reviews it has received it is praised for its functionality and ease of use when wanting to fold and unfold as well as everyday use of the stroller outside car travel. One of the main downsides of the stroller are its larger size. This larger size does make it a slight bit more difficult to store in a smaller location, especially if you have a smaller car more suitable for city travel as opposed to a larger one. Some have also stated that they have had issues with the quality of the seating, however this may be a once off. This double stroller has a number of excellent extras that make it a very good addition to any home. The aluminum frame is light and easy to handle whilst the dual trigger folding mechanism offers better safety. On top of that is the addition of extra features such as storage space, trays, mounted speakers and a rubberized comfort grip. Customers love the fact that this stroller has everything you need to look after two children as well as manage your health and use it for health purposes. It is especially useful that the front wheel has locking capabilities. The size and comfort of the seats have been praised for their positive features as well. One of the major downsides is that this double stroller does not come with its own car seat, a feature that is surprisingly difficult. It is however possible to find an appropriate car seat for his stroller if you investigate the materials used as well as the sizing of the seats to ensure it fits and is proportionate. The dual trigger folding mechanism on the double stroller offers a much stronger application of safety, with the tires made of a strong molded rim to provide strength and performance as well as pneumatic air tires. Additionally it contains a child and parent’s tray to give cup holders as well as ability to hold items. It has been mentioned by reviewers that the double stroller has a very easy to use functionality as well as easy to transport because of its fold ability. The size is more suitable for a mid-sized car and the materials used to create it make it very durable and excellent to use considering the cheaper price it is compared to some more expensive. One of the major downsides is that this double stroller does not come with its car seat, a feature that is surprisingly difficult. It is however possible to find an appropriate car seat for his stroller if you investigate the materials used as well as the sizing of the seats to ensure it fits and is proportionate. Key Takeaway: Not all double strollers are available with car seats added in, however it is still possible to purchase a double stroller and car seat individually and have a good connection between the two. With all of this information in mind the task of finding the best double stroller with car seats will be a much easier task to complete. Careful care and attention must always be made with this task due to the fact that it affects your children and their health and wellbeing should be of the utmost importance.